and I told the kids to watch and listen for how Oscar feels during the story. After we read, we made a list of the feelings Oscar had and when he felt that way in the story. Then I sent them to work. 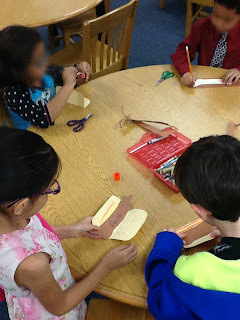 They each got a piece of manila paper for a bun, brown paper for Oscar and a few tracing dogs for the table (I do round the corners of the bun and cut the brown paper ahead of time). 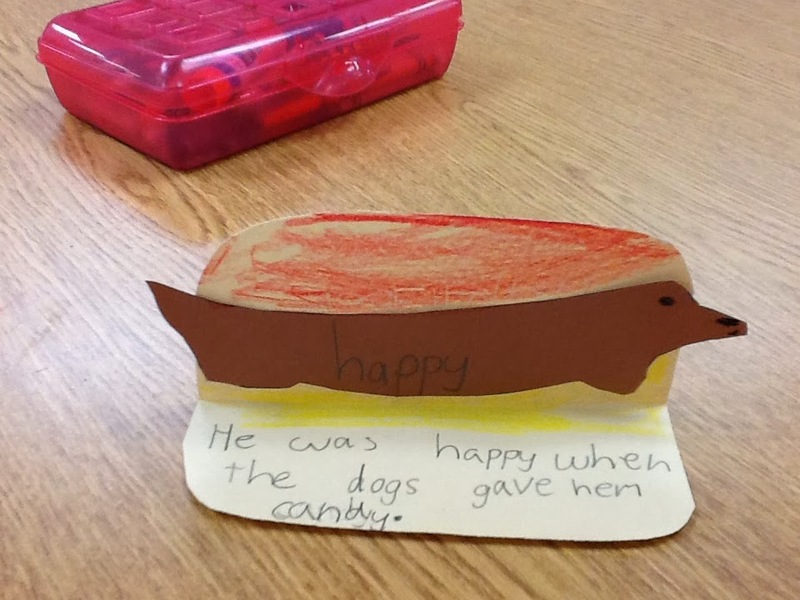 They trace the dog, cut him out and glue him to the inside of the bun. 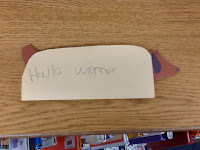 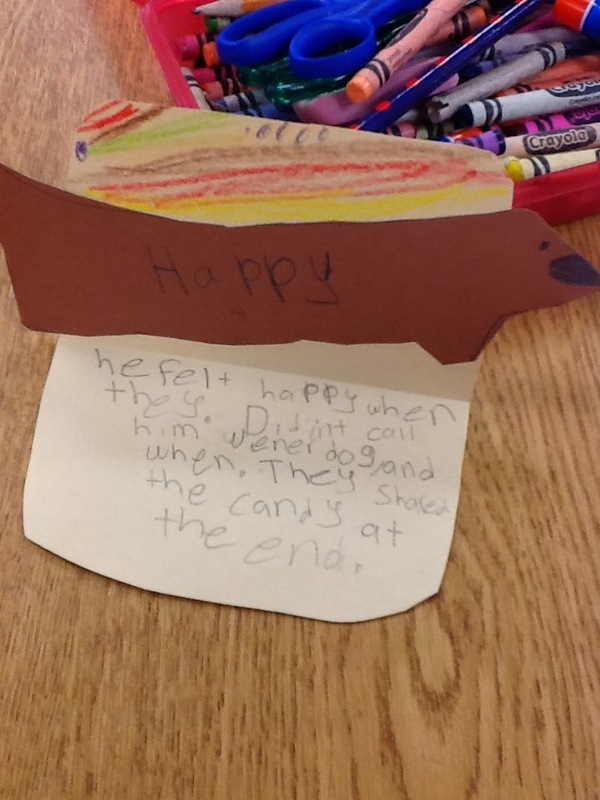 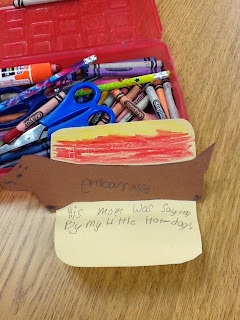 I love how some decided to put on ketchup and mustard and give Oscar a face and ears J Then they choose one of the feeling words to write on Oscar’s belly and write the text evidence on the inside of the bun. They turned out really cute. 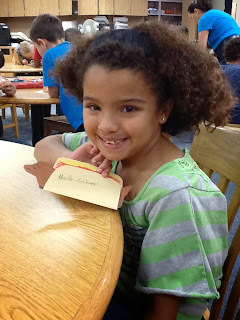 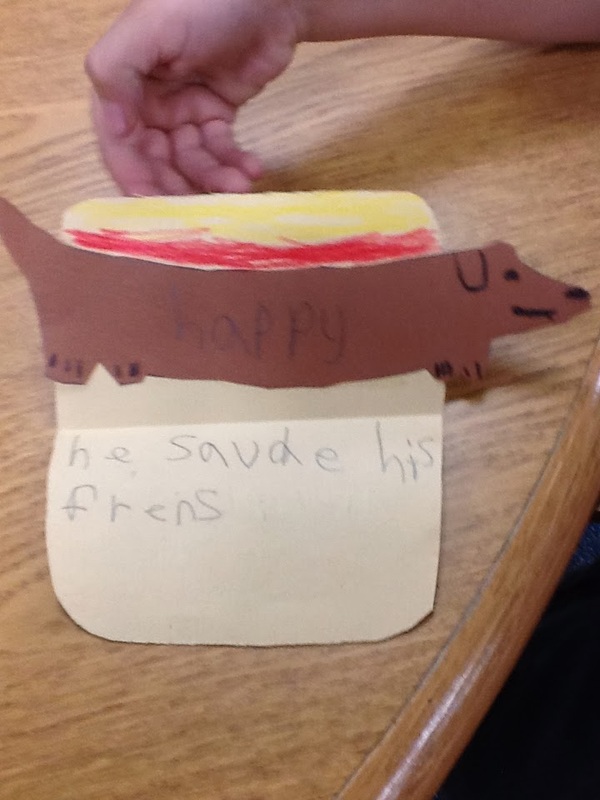 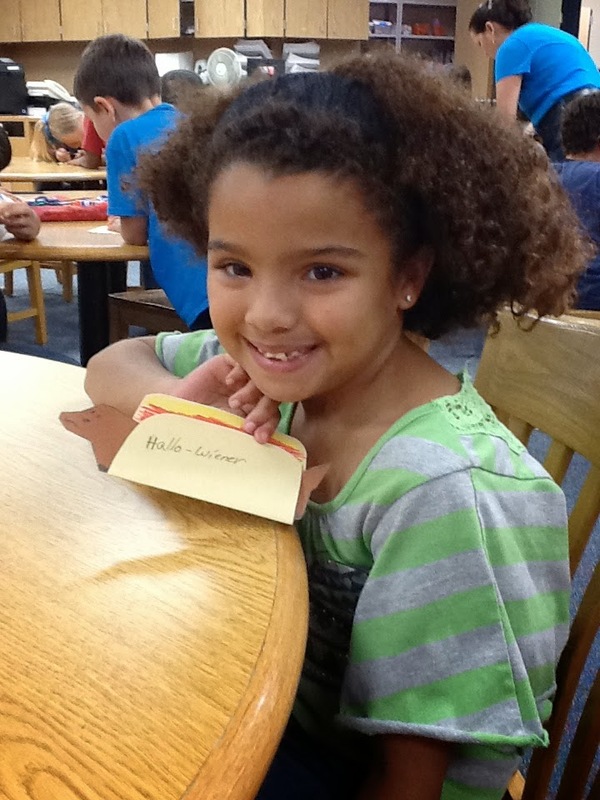 Some of Mrs. Brown’s first graders showing off their Wiener Dogs.